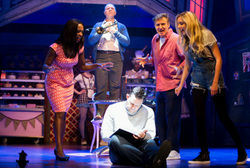 Former EastEnders and pop star Michelle Gayle, and Benidorm and Coronation Street star Alice Barlow will play the roles of Alison and Kat respectively in the heart-warming musical Son of a Preacher Man, which comes to the Alhambra Theatre, Bradford from Tuesday 12 to Saturday 16 June 2018. 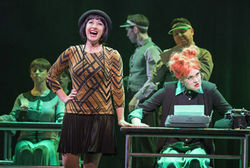 Following a hugely successful tour in Spring 2017, award-winning musical Thoroughly Modern Millie is set to tour the UK again in 2018 arriving at the Alhambra Theatre, Bradford this June with actress Hayley Tamaddon taking on the title role of Millie Dilmount, a Kansas girl determined to make it big in New York City. Tickets are now on sale for THE KING OF POP STARRING NAVI which makes a welcome return to Bradford on Thursday 15 November 2018 and ANNIE at the Alhambra Theatre, Bradford from Monday 22 – Saturday 27 April 2019. MATTHEW BOURNE’S SWAN LAKE makes a welcome return to the Alhambra Theatre from Tuesday 6 – Saturday 10 November 2018 and BRENDAN COLE brings his new show ALL NIGHT LONG to Bradford on Tuesday 13 November 2018. 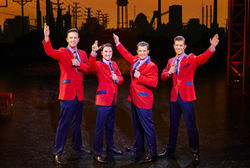 The Tony, Olivier and Grammy Award-winning musical JERSEY BOYS, is returning to the Alhambra Theatre, Bradford from 22 May to 2 June 2018. 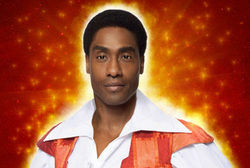 ALHAMBRA THEATRE’S THIRD WISH IS GRANTED AS BLUE’S SIMON WEBBE STARS IN ALADDIN! The Alhambra Theatre, Bradford has announced that Blue star Simon Webbe will be joining Billy Pearce and Christopher Biggins, as they embark on a magic carpet ride into Old Peking for this year’s spectacular annual pantomime, Aladdin, from Saturday 8 December. SATURDAY NIGHT FEVER - Tuesday 20 – Saturday 24 November 2018 and DIRTY DANCING – THE CLASSIC STORY ON STAGE - Monday 28 January – Saturday 2 February 2019 - Now on sale! 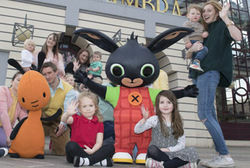 The stars of Bing Live meet local children at the Alhambra Theatre! The hit musical inspired by the life of rock legend Marc Bolan - 20th Century Boy! 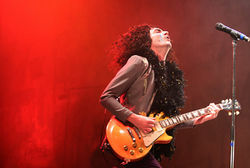 The hit musical inspired by the life of rock legend Marc Bolan, 20th Century Boy, returns to the stage on a UK-wide tour to mark the 40th anniversary of the iconic star’s untimely death. 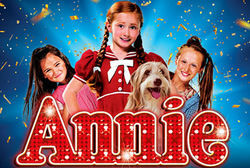 Coming to the Alhambra Theatre, Bradford this May. 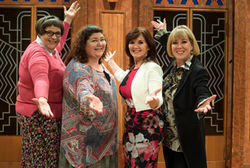 Following previous sell out UK and Irish Tours in 2008, 2010 and most recently early 2017, Menopause the Musical is back on a UK Nationwide Tour. Armed with an all-star cast of hormonal women, memory loss one-liners and innuendo-laden versions of pop classics this hugely popular show makes a welcome return to the Alhambra Theatre, Bradford on Monday 30 April.